First lets cover some tips for before you deliver your talk. If you are preparing new slides and materials for your talk, make sure you do this in plenty of time ahead of the day. The last thing you want to do is rush your material as this will show to your audience as you won’t be a prepared as you should be. I try to get my materials finished at least a month before the first delivery date so that I have plenty of time to rehearse the talk first and make any tweaks. This goes without saying that you need to know your subject. You are going to be portraying the image as someone who is knowledgeable so you will need to be able to answer questions as they come up and potentially control and off topic subjects as they occur. This doesn’t mean you have to an expert though. 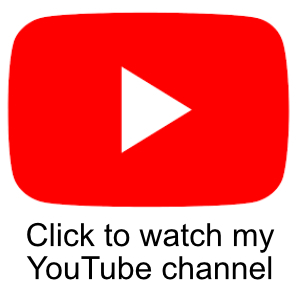 Some of my favourite talks that I have attended have been where someone has started off on a programming journey without any experience and the talk has been about their journey and what they learned, including learning from failure. This is a very useful type of talk and is just as valuable to the listener as a lecture on how to use a technology or technique. If someone has to sit for an hour to an hour and a half, you want to make your slides as visually appealing as possible. Try not to put too much text on the slide people will be reading the text as opposed to listening do you. They say a picture speaks a thousand words and this is very true. Stock libraries are a great source of photographic images, plus you can use Power-point or Visio to create more technical diagrams. If you use code demo’s in your talk, then try to make the code useful to anyone attending the talk. By this I mean, how much value can they get from the code? Can they take the code as is and use it in their system, or would they have to do a lot of work to incorporate it? If your code is immediately useful, then this will really help boost your reputation as a speaker and knowledge expert. Make sure your code (and slides) are available after the talk. I always host my code and slides on my blog so they are available for anyone to use. There needs to a be a structured story to your talk that has a definite beginning, middle and end. At the beginning, why are doing the talk? What problem are you trying to solve? The middle section is the main content for your course. This will involve taking your audience from a point of not knowing the subject and giving them a baseline of knowledge and then onto delivering the main part of your content. For the end section you want to try and get all the knowledge presented in the course and tie it all together to a final conclusion so that you then have a definite end point to the talk. For example, with my Cryptography in .NET talk, I start the talk off by talking about what cryptography is and why it is important. I then give lots of examples of where it is used in everyday life. I then move onto the main content which is talking about the different cryptographic techniques and how they are used. I also show code demonstrations during this section. Then for the final part of the talk, I show how to use all these different techniques together to produce a hybrid encryption scheme. This gives a good conclusion to the talk we are at an end state for the code. As I just mentioned, a talk should have a beginning, middle and end. For the end you need to ideally have a specific goal that you are aiming for. If this is a lessons learned talk, then what were your key learnings that were made from a series of mistakes or failures. In my Cryptography talk example, the end goal is to create a hybrid encryption scheme that allows for the safe and tamper proof exchange of symmetric encryption keys. If you are introducing a new technology, then a goal might be to have a series of working and useful sample applications that people can go and play with after the talk. Once you have prepared your slides and material, you need to practice your presentation. You need to have a good feeling for pace and how you project your voice. Don’t look down at a laptop, look at your audience and make eye contact with them whilst talking. Make sure you speak so that people at the back of the room can hear. Well in advance of the talk, ask the user group or conference host how long your slot is. If you have a 45 minute slot, then you need to ensure your talk lasts that long and has enough time to field some questions. It is a good idea to practice by just reading through your deck out aloud in the privacy of your home. If you have some like minded friends then perhaps you could rehearse in front of them. If you do this, make sure you practice the talk as if it was a real talk. If you make a mistake, try to recover from it and carry on. Before going to a talk you need to make sure you are well prepared for all eventualities. You can never be sure what you are going to find at a venue. Is the projector VGA, HDMI or Display Port? What video output does your laptop have? In my case, I use a Dell XPS 13. This has a mini Display Port output and no VGA socket. So I take with me a mini Display Port to VGA and HDMI adapter and this covers most projecting needs. I also carry a spare battery pack for the laptop in-case there isn’t a power socket near where I am speaking. I take spare batteries for my mouse and slide clicker and also have a small screw driver set. Take anything that you think will be useful. I will follow up soon with another article going into more depth on my kit bag for user group talks, but the key message here is be well prepared and try to anticipate what can go wrong with regards to hardware on the day. Whilst preparing your talk, you need to decide if your talk relies on an internet connection. If it does, then you should have a plan B in-case you have no Wi-Fi to connect too. This plan B could be a substitute set of slides where you include screen shots of what would have been in the internet demo. Not having Wi-Fi to connect too is a real possibility. 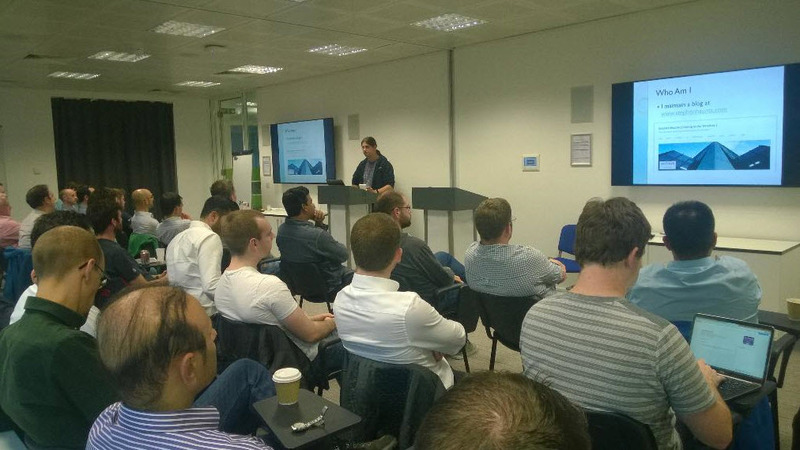 I recently did a user group talk in Leeds in the UK. The venue did have a guest Wi-Fi, but I couldn’t get Windows 10 to connect to it from my laptop or my surface tablet. Luckily there was only one part of the talk that needed to use a password hash cracking website as a demo. I had a set of slides that contained screen shots of this demo. Before the talk started I knew I would have no connection so I just loaded up that set of slides. The audience were none the wiser as I just referred to the site from screen shots and put the URL on the slides. When going to the venue to talk, I like to take a big bottle of water with me. The venue may have water there but it will most likely be in those small plastic cups. When you are talking it is very common to get cotton mouth where your mouth goes dry through nerves. I get this all the time, so I have a bottle of water with me so I can take sips every now and again. Another recommendation before doing a talk is not to eat a large dinner, but just have a smaller snack instead. A large meal can make you feel very lethargic which is not what you want when you are trying to engage a room full of people. I have a sandwich beforehand and normally get something else to eat after the talk. Preparing a talk can make you nervous of what you are about to face. I use a very powerful technique to help prepare myself and calm my nerves. I visualize the talk in my mind where the talk is going amazingly well. The crowd love the talk, are attentive and ask great questioned followed by a rapturous round of applause at the end. This positive visualization really help you to mentally prepare. Ok, it does sound a little weird, but no-one has to know that you are doing this, so start visualizing those great speeches that would put Martin Luther King to shame. I hope you have found these preparation tips useful. In the next article for this series I will give my tips for when you are delivering the talk. Good overview Stephen. I’d suggest adding a short bit about knowing your audience. Are you talking to a group of programmers? If so, you can be more technical. Managers? They want high level points. etc… Sometimes the same talk can have a variety of audiences or a mix and you might have to adapt it on the fly. I have seen section two yet on delivery. Did I miss it or is it just not posted?